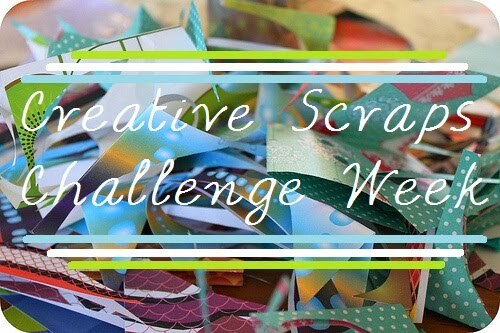 Techniques by Trish: Creative Scraps Challenge Week #2!!!!! Congrats Adrian!!! If you could email me your address, we will get the package out to you!! Next.....I want to give a BIG WELCOME to Dorcas-- She has joined our team of Molly, Cristi, and Myself!! You know what that means....just a more inspiration for all of you! 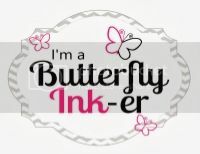 She is a fabulous crafter and we're thrilled that she is joining our team! Friday: We will have everyone presenting a new project, with Momo and 2 other Special Guest Designers!! And the challenge will be open to all of you! So be sure to head over to Molly's Blog: Army Wife Learns the Cricut, to check out her absolutely adorable card that she made for today!! Yah! I won, thanks so much ladies! This is so super cute!!! Love it! I love the border punching. Awesome! hi Trish!!! I love that cupcake from Simply Charmed...i love how BIG the candle is!!! Oh and nice plug for Scrappy Mom =) you are so funny!!! Such happy festive colors - great card! Can't for all the birthday ideas! Cute card... Simply Charmed needs to find it's way to my house, LOL!! SO CUTE!!! I NEED Simply Charmed - LOL! Hi Trish, just joined your blog a few days ago and i am so excited for your challenges! I love Dorcas, so happy she has joined you! 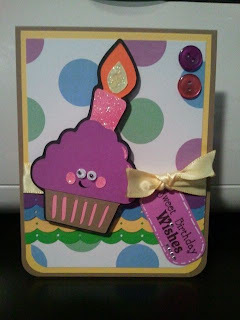 And your lit cupcake card is super adorable! !